Most cookbooks advise using ground chuck for burgers, but many top chefs use brisket. It has a better proportion of fat and better flavored-meat. It’s a tough cut, so have it ground twice. When shaping patties, do it lightly—squeezing them into a solid mound makes them tougher and less juicy. 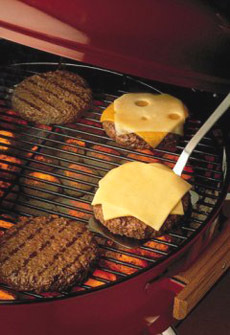 Click here to read more burger tips from THE NIBBLE.